Genova Products 351440 Combination Tee (Ins x Ins x Mip) Pipe Fitting, 1"
Product prices and availability are accurate as of 2019-03-01 10:40:22 EST and are subject to change. Any price and availability information displayed on http://www.amazon.com/ at the time of purchase will apply to the purchase of this product. Insert fittings are used for cold water applications only such as irrigation, residential lawn sprinkler systems and swimming pool installs. The fittings meet ASTM standard D2609 and are NSF Listed. 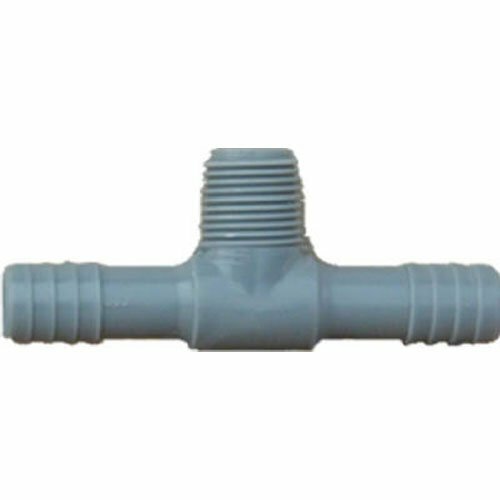 Insert fittings are used with Polyethylene pipe.